A floor that has a stunning look, is durable against wear and tear and relatively low maintenance must tick a few boxes in many households. Which is why concrete floor polishing has become all the rage for the floors of Sydney’s homes, offices and even public buildings. So what’s involved in getting a dull concrete floor its lustre? How is it achieved and what should I be thinking about before undertaking concrete floor polishing in your home? If you are looking to expose the concrete flooring the existing covering needs to be removed as well as the associated paint, adhesives or grouting that may be left behind. 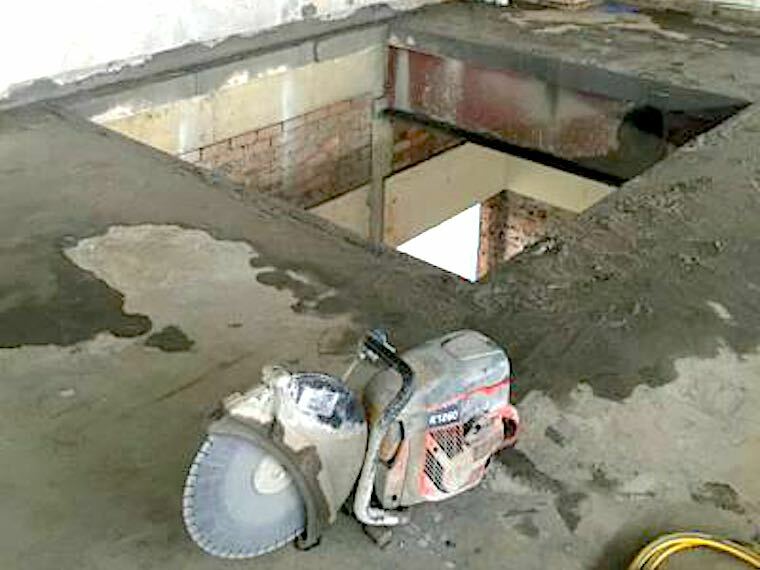 If possible, it is always better to lay a new concrete floor slab with the intention of it becoming a polished concrete surface. Defects in the existing slab may only begin to appear during the polishing process. First, any joints or cracks need to be filled using an epoxy filler so they don’t interfere with the slick looking finish, nor act as an inevitable catcher of dirt and dust. 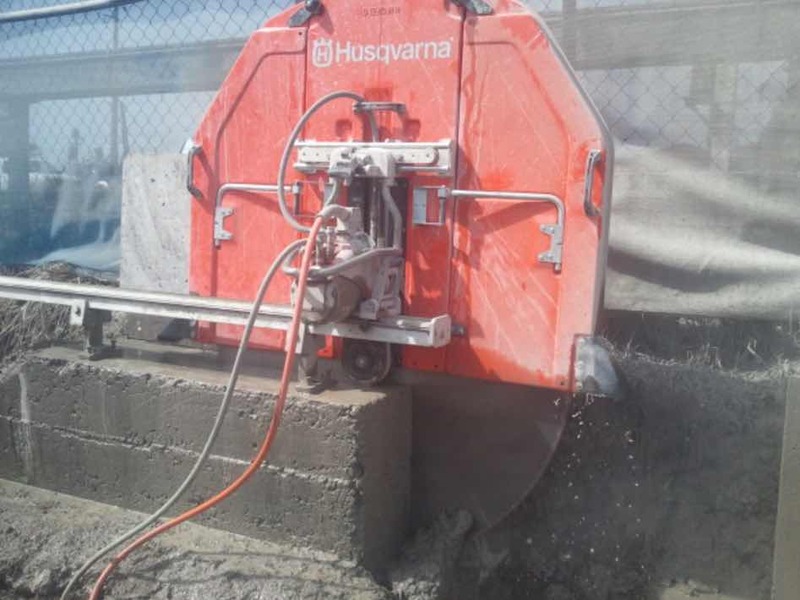 Typically, grinders are used in a dry environment and the dust is sucked up and contained using specialist vacuums. To improve durability and eliminate dust, a hardener needs to be applied. This causes a chemical reaction filling in the pores of the concrete making the concrete denser and therefore less absorbent to help avoid staining. 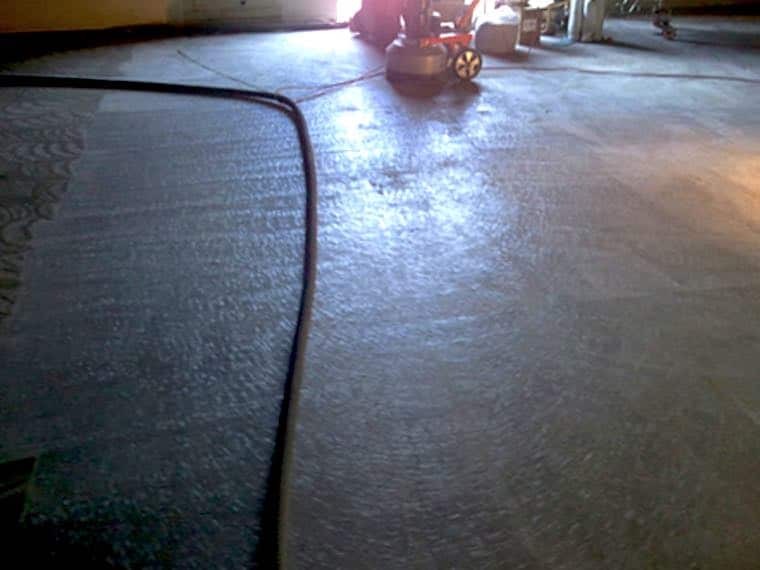 Concrete polishing uses finer and finer grades of grinder until the desired level of shine is obtained. Note the smoother the finish required the more time and materials it takes adding to the overall cost. The degree of finish should be determined by the aesthetic needing to be created, budget available and also the intended use. Finally, an optional stain guard can be applied to further protect spills from penetrating the concrete. Now you have the steps involved it is best to hire a professional to safely, confidently and within minimal of dust turn your flooring into a decorative addition to your home or office.